The moon was not sighted yesterday, which means that Ramadhan starts tomorrow, Thursday 12th August. If Ramadhan lasts 30 days, Eid will start on Saturday 11th September, which is nice, especially for me as I appear to have gambled and won on my Eid vacation! While we're on the subject, I'd love to have the business card for the person that chairs the moon-sighting committee. Imagine that card? Sheikh Abdullah bin Mohammed al Salmi, Minister of Awqaf and Religious Affairs, Chairman of the Ramadhan Moon-Sighting Committee. Do you think the card is longer than normal, or in a smaller print?! It's a bit of a mouthful anyway! The official announcement (in English) is here. Also, read here for the official word on Ramadahn hours - essentially Muslim staff only need to work 6 hours a day (up to 36 a week), and non-muslim staff are at the sole discretion of the employer. Do you have any Ramadan month tips? I'd say survival tips but that's not necessarily the case for all of the audience here. My top-tip is this, for non-muslims: Try to avoid having meetings before 10 and after 12 = before 10 it's highly likely some people won't make it, and after noon people have their eye fixed firmly on 2pm, and bed! Enjoy the weekend everyone, and Ramadhan kareem! So not only does one eat more, they sleep more as well during Ramadan? I've forgotten what it is to be here during Ramadan. I don't remember it as a big deal but maybe that was because I was a kid. But everyone's talking about it like it's a big thing and I am wondering if there's something I am missing. Love the graphic on your post. Ramadan Kareem. Eat more...duhhhhh....Ramadan = fasting thru the day. Get your facts right, you ignoramus!!!!! RAMADAN SAFETY TIP: Try not to drive before/during Magraib (dusk/sundown) as car accidents are sooooooooo bad and insanely common. @ Sythe: I HATE how "Muslims" sleep all day during their fast. There is NO point fasting then as the point of fasting is to devote time to prayer ect. and if they sleep through the prayer times? i.e around 1 o clock, around 3 o clock? Their fast is nigh void. I guess everybody has made a comment on only one side of the coin. The other side of the story is as to how well the Muslim community adapts to the do's & don't for 1 month. Last but not the least lets not forget the contribution to the poor & needy.. So people its just not sleeping, look beyond that. To the second Anon who called the first Anon an ignoramus... have you ever been to an Iftar? People eat waaaaaaaaaaaaay more food during Ramadan then usual. Way more. I've seen people eat all night long like their lives depend upon it, just like shoveling the food into their mouths, plates piled high to ceiling. So stop with the name calling, it's not nice. Awww, Peter the eater, a tad touchy aren't we? Let's not forget that for one we are living in an Islamic country. 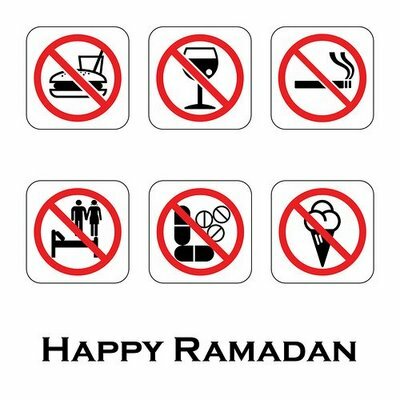 So for starters, show some respect to the holy month and yes you have to deal with take away and no booze - small change for all the comforts of a tax-free haven. ooh comments. I love comments. To the Anonymous commenter's - you can actually choose made-up names if you want, so we can differentiate who you all are. This is my 4th Ramadhan here in Oman, and it's my perception that people tend to gain weight during this time. All that late night eating and manic stuffing of faces at Iftar... not very healthy. OPNO - great safety tip! Peter the eater - what do you like to eat?! It really bugs me, that, one of the aspects of Ramadan, is to know what it's like not to be able to eat & drink, to feel empathy for the hungry & thirsty.I'm sure the poor & starving don't eat mountains of food in the evening. (iftar). Eating the mountain of food all through the night, makes it easy to fast during the day. Peter the eater and Sythe - Mates thanks for taking up the cudgel. Second Anon does not know Ramadan is when food sales rocket upwards. If the working hours restrictions only apply to Muslims, I presume that non-Muslims are excused from the restrictions of Ramadan? Anon 12:07 Aug 12: Yes, non Muslims do not have to fast. Obviously. 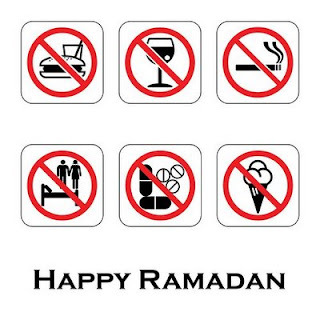 Well, the truth is Ramadhan like Christmas has turned into a commercial event over the years. Now, it’s true this does not apply to all but you can feel and see it everywhere you go (take a trip down to Lulu’s). The true spirit of Ramadhan is to feel the deprivation of those less fortunate, however, people as some in the post stated stuff themselves after Iftaar and the spirit is lost. Also, if you sleep during the whole day while fasting, you have to make up that day. For those who are non Arabic speakers, you can’t even imagine what happens on TV. We are bombarded with at least 100 new series which people watch religiously instead of spending their precious time praying. Again this is not the spirit of Ramadhan or what everyone does. Fasting in Ramadhan is not about understanding what it is like to go hungry, it is about the act of self denial. All religions practice self denial as a way to get closer to God. It just so happens that there's always the night time to pig out and eat more and that's exactly what happens. The production of LPG (cooking gas) increases during Ramadhan and is higher than at any other time of the year.